The Toronto Symphony Orchestra opened the season with a bang, bringing to town last week Joshua Bell for two concerts. 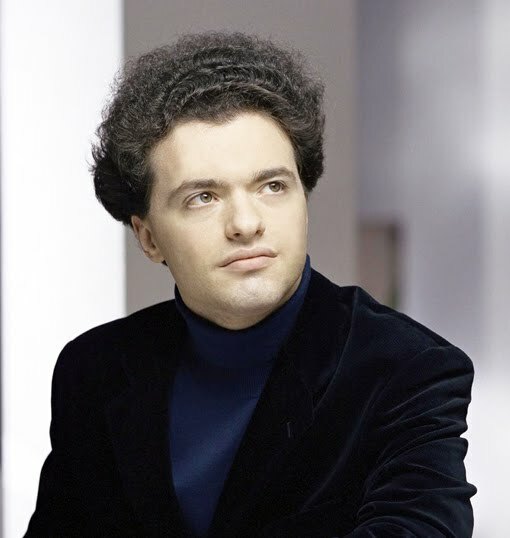 This week, the TSO offers two consummate musicians, the great pianist-pedagogue Leon Fleisher and the extraordinary Russian pianist Evgeny Kissin. Fleisher plays Mozart Piano Concerto No. 12 K414 on Sept. 30 8:00 pm, in a program that also includes Rachmaninoff Symphony No. 2, conducted by Peter Oundjian. Then on Sunday Oct. 4, 3 pm at Roy Thomson Hall, the ever-popular Evgeny Kissin makes a return to TO in a performance of Chopin Piano Concerto No. 2. On the program is (once again) Rachmaninoff Symphony No. 2, and Prelude to Act 3 of Lohengrin, conducted by Oundjian. On Saturday, Oct. 3 8 pm at the Glenn Gould Studio, pianist Minsoo Sohn, the first Laureate of the Honens' Competition in Calgary, will give a recital, playing Beethoven's Diabelli Variations, and Liszt's Transcriptions of Beethoven, Schubert and Mozart. In case you don't know, the Honens Competition is heating up this month in Calgary and well worth following. I think at least the finals will be carried on CBC - I will check and report on this later. 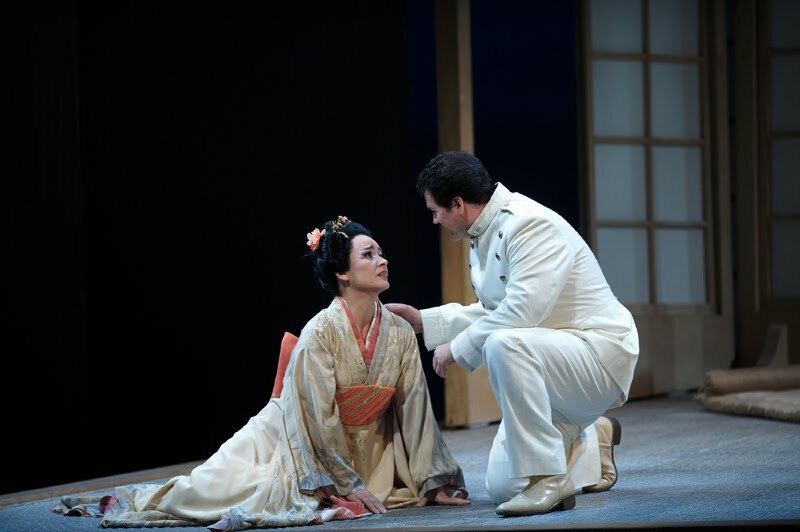 For opera fans, the COC's Madama Butterfly continues this week for its run of an unprecedented fifteen performances at the Four Seasons Centre. I understand limited tickets for the shows are still available, including rush tickets for seniors. I attended opening night on Saturday. This Puccini warhorse can be a little hackneyed in a routine performance, but with good singing and a good orchestra like the COC, it has a sweep and power that is almost unequaled in verismo. The old Brian Macdonald production is very basic but serviceable, and the stage direction is traditional. The singing is generally very good. Adina Nitescu is a celebrated Butterfly, having sung it in many of the major houses, including La Scala in 2004. The voice isn't so fresh now five years later, and there is no high pianissimo. Hers is a mature Butterfly - this is not meant to be a criticism - I've always thought it was wicked of Puccini to expect a spinto soprano with the vocal heft to sing this very dramatic music while pretending to be a 15-year old geisha - this is an impossibility! Nitescu bears an uncanny facial resemblance to the mature Teresa Stratas, with dramatic intensity to match. I was very impressed with her acting, especially in Acts 2 and 3 (performed together in this production). On opening night, Canadian David Pomeroy was a ringing-voiced Pinkerton with excellent high notes; baritone James Westman was an extroverted, highly sympathetic Sharpless, and mezzo Allyson McHardy a luscious voiced Suzuki. The tempo of the opening overture conducted by Carlo Montanaro was at breakneck speed, as a result there was some ragged playing by the musicians struggling to catch up. Things settled down soon afterwards for a fine performance. Montanaro knows the verismo style well and he milked the climaxes for a big, exciting sound. Tomorrow is the alternate cast of Canadian soprano Yannick Muriel Noah in her role debut as Cio Cio San, American tenor Bryan Hymel as Pinkerton, Canadian baritone Brett Polegato in his first Sharpless, and Canadian mezzo Anita Krause reprising her Suzuki. This cast will sing 6 performances of the 15-performance run. Not to be missed. Finally, to go from the sublime to the ridiculous, I will mention Jerry Springer: The Opera, playing from Sept. 24 to Oct. 10 at 8 pm at The Hart House Theatre, 7 Hart House Circle, University of Toronto. Calling this piece an opera is an inspired stroke to some, and an insult to the Heiligen Kunst to others. If you don't mind a vulgar "libretto" where four letter words are used allegedly 96 times, this "opera" is for you. I have never seen it, but I just might give it a try. I am told that when this was first shown on the BBC, it received a record number of complaints. So there you are - attend at your own risk!